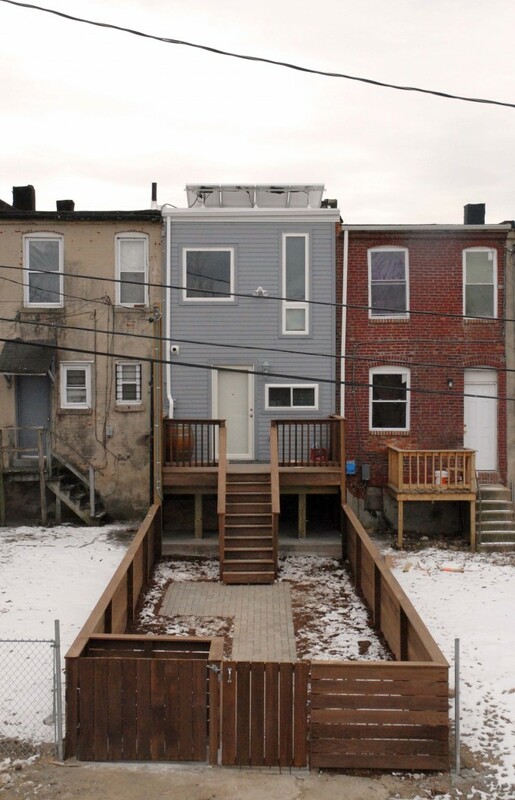 We are very proud to announce the opening of Ziger/Snead's latest community design project, the 'Greenest House in Baltimore' at 1810 Laurens Street! 'Greenest' in this case means that the house has extremely good indoor air quality, is very energy efficient, has tremendous natural light, will take a beating, conserves water, stays comfortable even on the most extreme days, and does all this for a price most could afford. 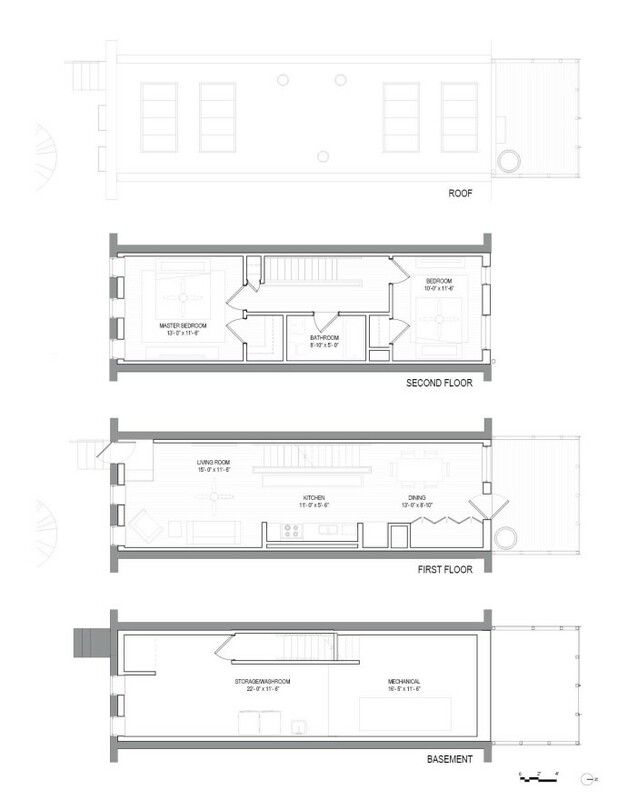 Sounds pretty good for a 12' wide, 40' long, westside rowhouse renovation doesn't it?! We hope this is just the beginning because Baltimore does big things! Especially when there is a chance we can simultaneously improve the health, finances, and safety of our citizens through sustainability. 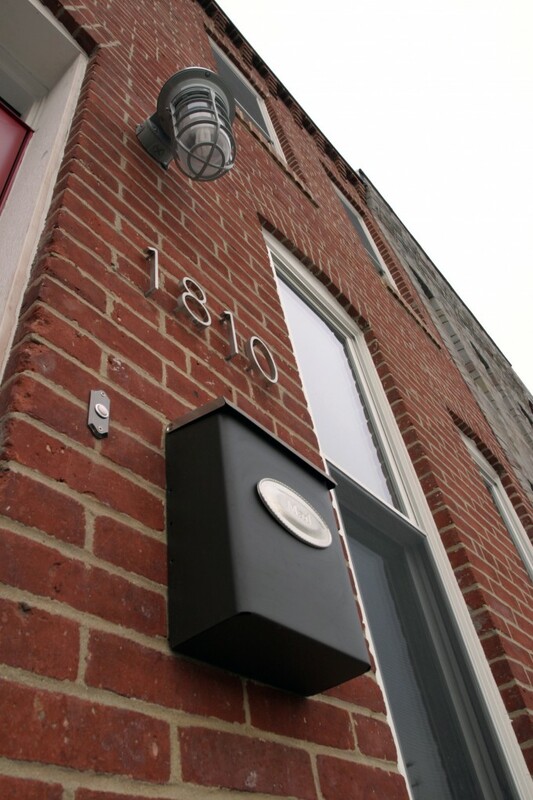 1810 Laurens is currently on track to become the first LEED for Homes Platinum project in Baltimore City, a hard earned distinction illustrating dedication to sustainability on part of both the sponsors and the design team. It means that the project has to meet a very strict set of requirements and could not afford to skip many critical aspects of sustainable design and construction. This achievement is no accident. 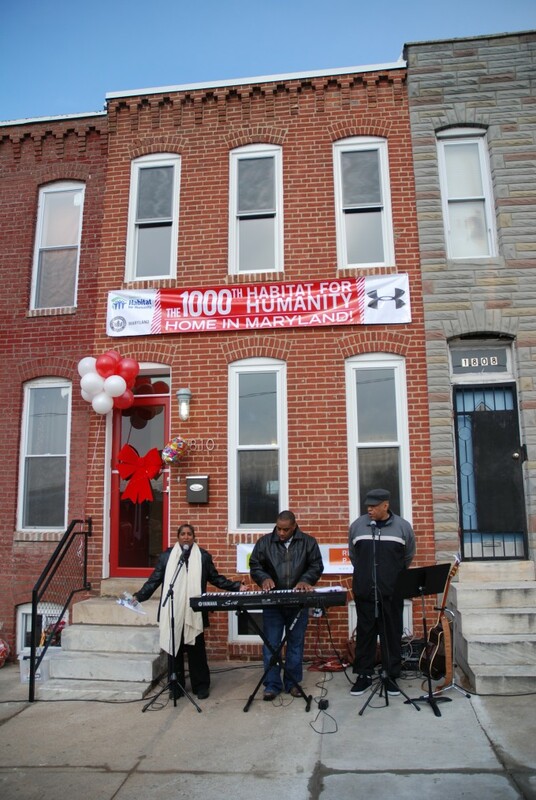 It challenged a number of boundaries through the bold vision of project sponsors Sandtown Habitat for Humanity, UnderArmour and the USGBC Maryland. Together, they proposed a high bar for sustainability, organized a team of green building experts, solicited donations, sought out volunteers, and followed through to ensure that the project was a success. They even laid tile in a pinch. We are thrilled to have completed the Greenhouse House in Baltimore and think that there is a big need for this kind of development in the city. 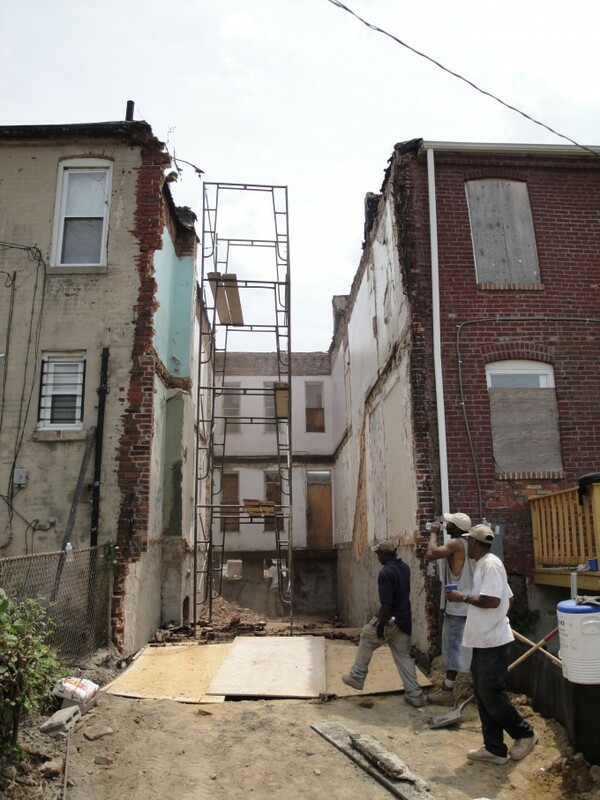 For more information please visit the project website, visit the Ziger/Snead project page, or look for our upcoming lecture on this project during the 2011 Baltimore Green Week! During Demolition. Note that we were removing the chimneys this day. 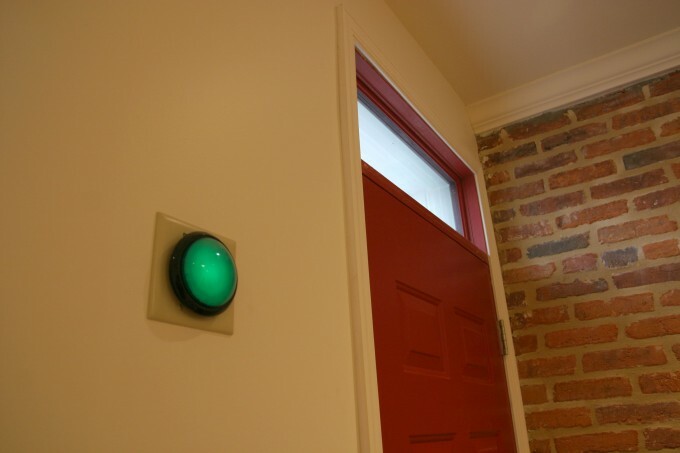 A typical rowhouse is now one of the greenest places in the city. 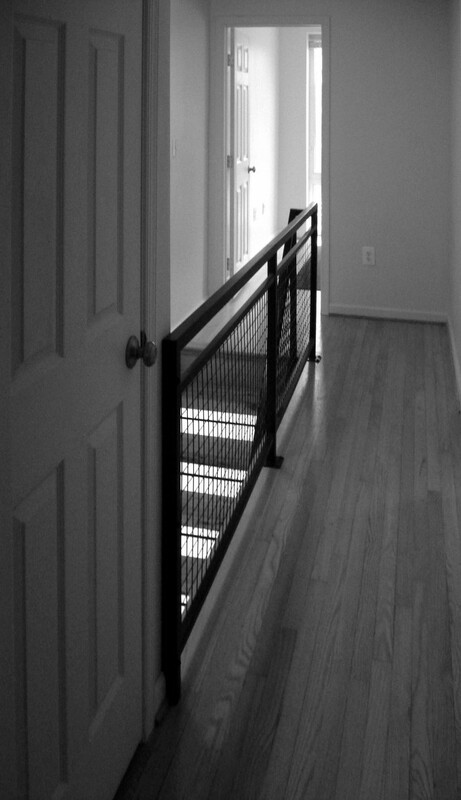 The house fits into the historical context of Sandtown-Winchester. A panoramic of the rear yard. Can you spot the house? Rear of the house. Heat treated wood fence and decking, pervious pavers, rain infiltration garden with native plantings. You can even see the solar panels up there! 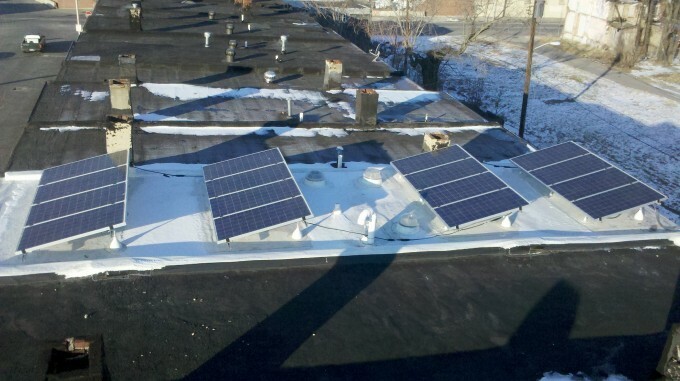 A 2.5 kW photovoltaic array provides 1/3 of the electricity needed for the house. Wood floors are reclaimed oak finished with a low-VOC sealant. 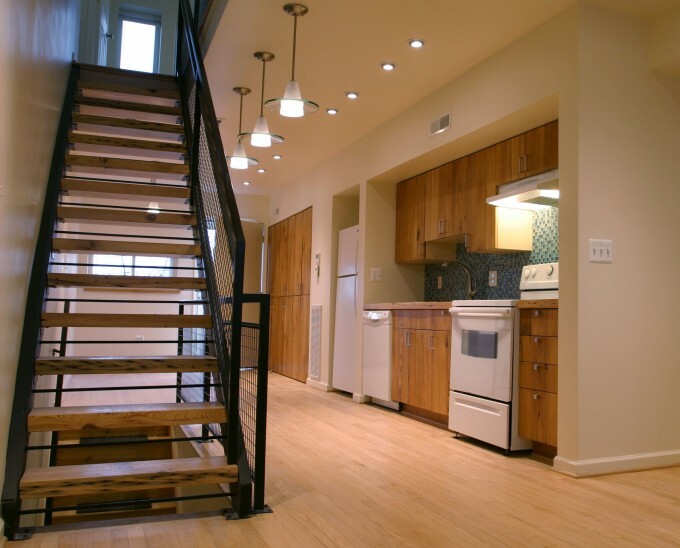 Cabinets and stair treads are reclaimed pine beams from Sandtown rowhomes right in Baltimore! Beyond is the red front door chosen by the owner. 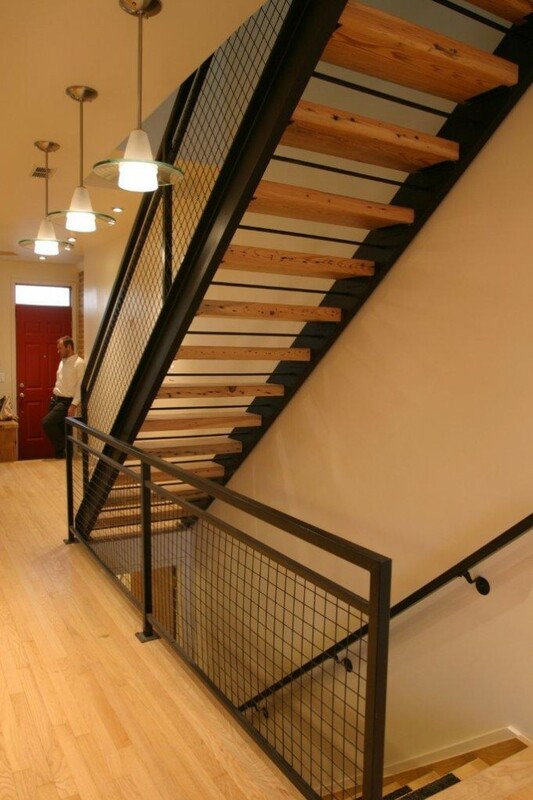 Elegant black metal stairs with reclaimed wood beam treads head up to the second living level. Below is a basement with a washroom and mechanical equipment. 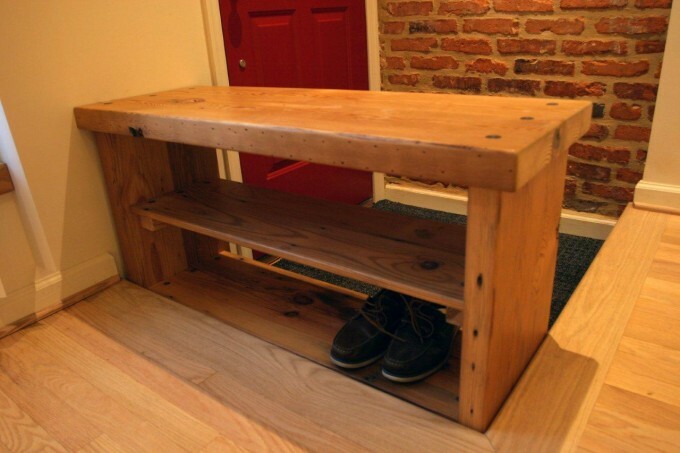 A shoe storage and changing seat at the entry landing provide a place to take off shoes before particulates are dragged into the house. A walkoff mat by Interface Carpet is installed beyond to help keep dirt in one place. 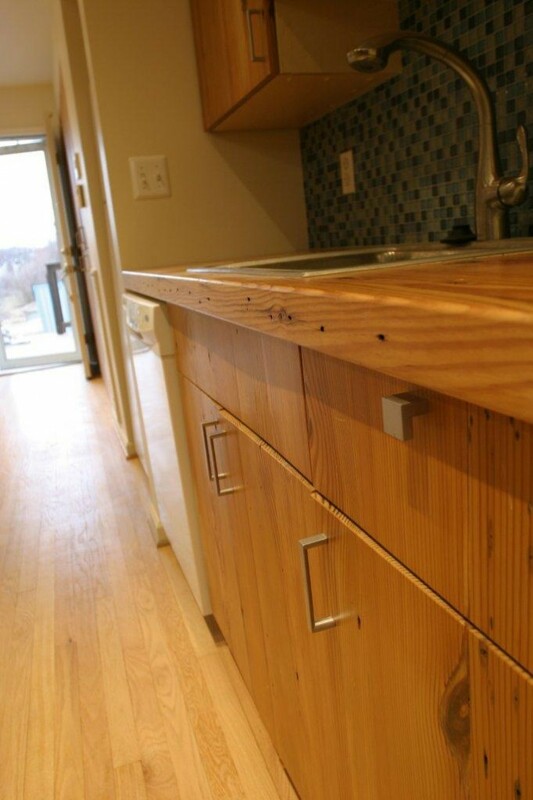 Reclaimed wood countertops and cabinet faces were integrated into a 'wet wall' for mechanical and plumbing distribution. Appliances are standard H4H Whirlpool (donated). View from the stair toward the full height rear window in second bedroom. 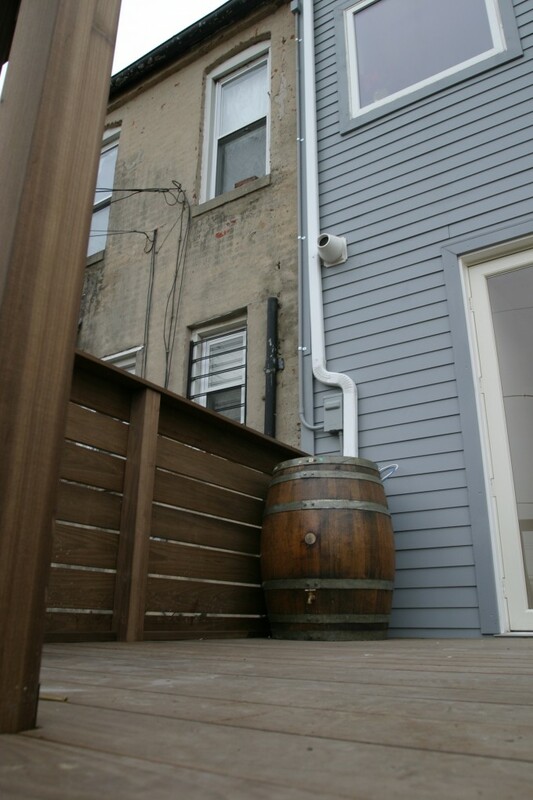 A reclaimed wood rainbarrel collects rainwater to help irrigate and offset stormwater runoff. Recycled content cementitious siding for rear wall. January 26th, 2011 at 5:46 PM. Posted in . Share this post. Very impressive! Since I did my undergrad at Morgan State and majored in Architecture, this house is definitely a breath of fresh green air! Will tours be available to the general public? Do you have a resource list for the products used in the house? For instance, where did you get that shower valve in the bathroom? 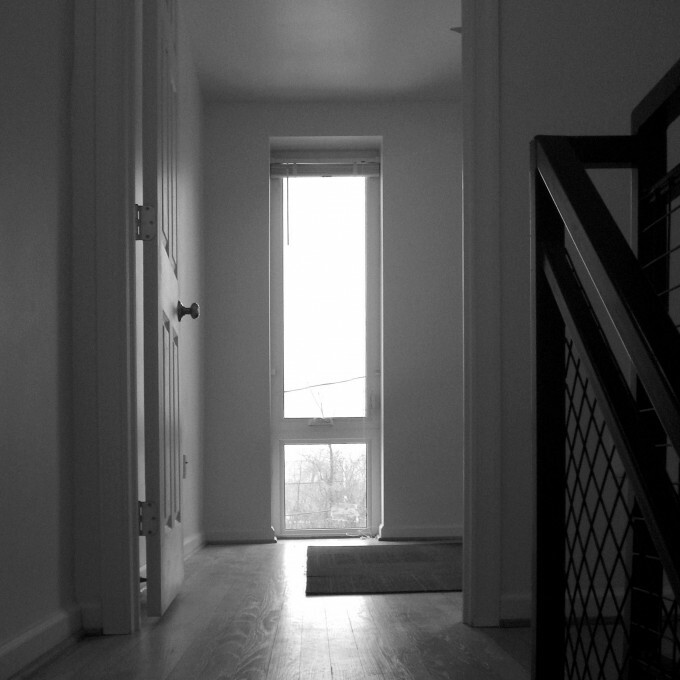 I've been in the house a couple of times and your pictures doesn't do just to how much light those solar tubes in the hallway let in. Great job on the house. The shower valve Maddie is asking about is made by Evolve. and are called the ShowerStart? Ladybug Adapter. Information is available at: http://evolveshowerheads.com/ladybug_showerhead.html They can be purchased on the Evolve website and on the web for less than $30. Wonderful project. Thanks so much for taking it on. It is a terrific accomplishment and a great example of thoughtful attention to energy, sustainability and good design. Kudos! Good presentation last night. It was nice to see the efforts of all your hard work and collaboration. I do, however, have to express my concern for the touted "affordability" of this project. I understand that it was perhaps a model to see what works and what doesn't, but I think it would be beneficial to the green, affordable housing community if the financial statistics of this project were clearly stated. I feel the project title is a bit deceiving in that it gives the impression that one could replicate all of the incredible systems, design, and materials into a model of affordability. I think it would be extremely beneficial to the community if you published the final cost of all materials + labor - sponsored, donated, and paid for - to give a baseline project cost. Additionally, it would be valuable if the team could list what pieces from this test case could actually be implemented by H4H to create something that is truly affordable and green. 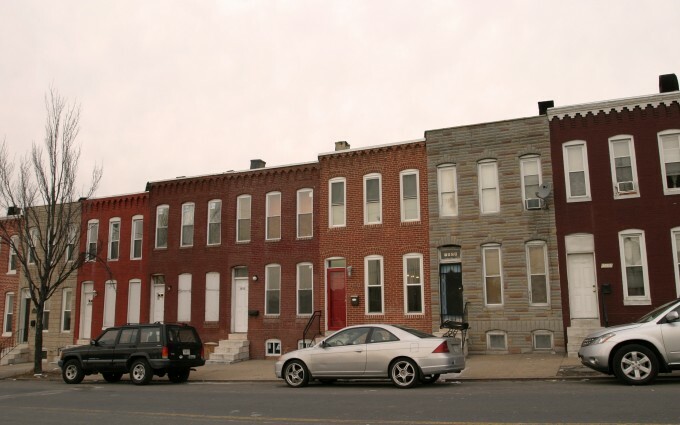 I would love to start a conversation that defines and benchmarks 'affordability' and 'green' for the Baltimore rowhouse. You've done a great thing to get us started! Really nice view..Good diagram really nice architecture view. This show that the architect is doing really well to build this house.